I bought the Appsumo bundle, how does this impact me? We took some time to come up with a bulletproof solution for you. Today, I want to announce that we have solved this problem! You will NEVER email to an incorrect email address of a journalist on JustReachOut. However, this has been a source of heartburn for many of you. We, therefore, decided to remove all third-party interference and make it simple for you to send emails from within JustReachOut. 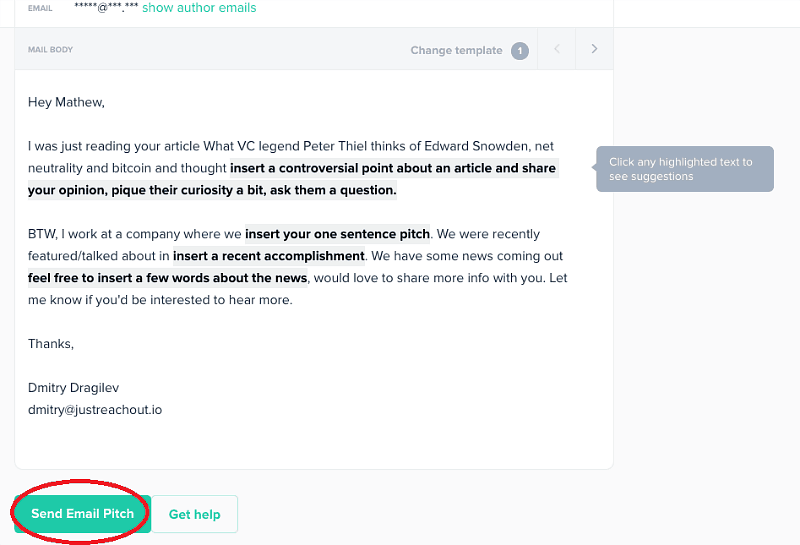 If you see the picture above, once you write your email body you can now click the ‘Send Email Pitch’ button. This will send the email to the address you have mentioned in the ‘To’ section. No need to use any other email client. The ‘From’ email is auto -generated such as ‘sapph@justreachout.io’. You just write the email and click “Send Email Pitch”. 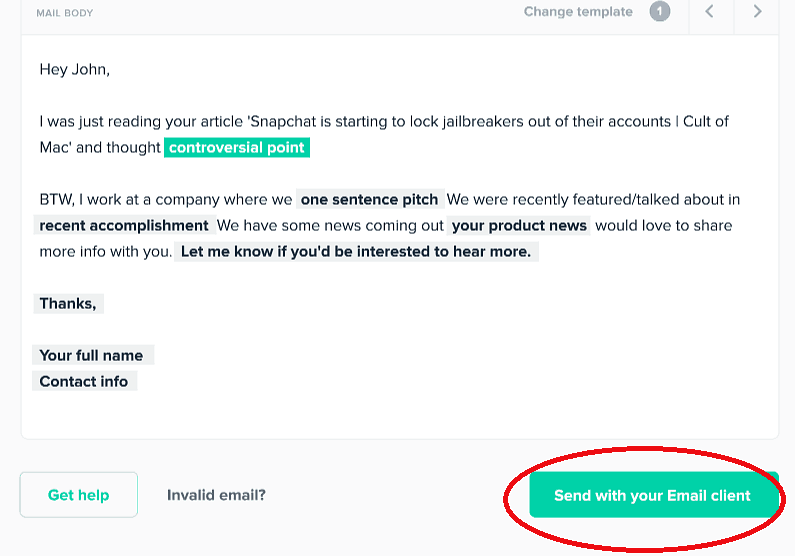 You can now send direct emails, replies and go back and forth with journalists from JustReachOut without having to use your own email client. Isn’t that a huge win? No more cluttered inbox or emails lost in a deluge of junk. The JustReachOut system tracks email opens and lets you see when a journalist opens your email right away. You can change or modify your pitch for other journalists depending on how many times a particular pitch mail was opened. You will notice there is a new navigation item “Emails”, click it! When you click on ‘Emails’ it will take you to the Email Pitch History. It has all the emails you have sent with the current status of each one. The email pitch history shows all ‘email status’ like new reply, opened, delivered, validating, etc. VALIDATING – means the email address we have on file for the journalist is being human checked and verified by our team before the email is sent to the journalist. This will take up to 24 hours and ensure 100% deliverability. NEW REPLY – is the latest reply to an email. With JustReachOut you also have the ability to track if a journalist opened your email more than once. The system tells you exactly how many times an email was opened. It also gives you the precise date and time of each open. This is crucial when you want to test your subject lines to optimize for opens and gauge their interest in your pitch. Subject lines play an important role in determining whether a journalist will open the email and read your pitch or not. Kerry Jones from Fractl says subject lines should be concise and specific to a journalists’ area of interest. In an interview to Dan Shure of Evolving SEO blog, she explains that if an email subject does not compel the journalist to open the mail then you might as well not pitch at all! If you want to listen to the Kerry’s entire interview (which also reveals how to write a great pitch), click here . 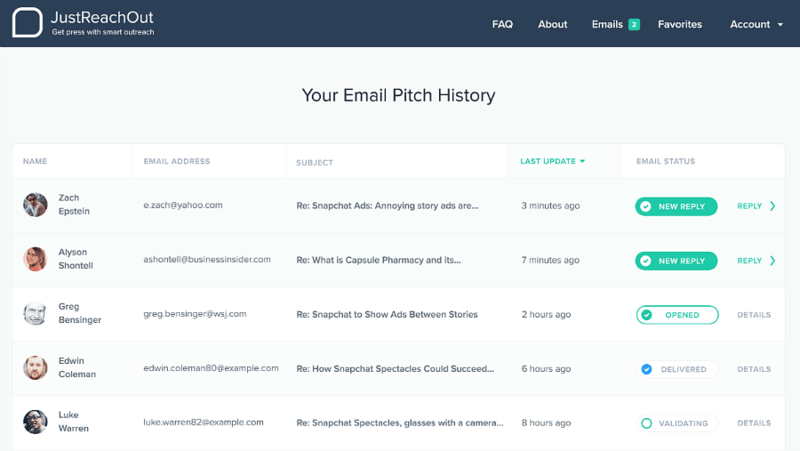 Already send your pitch email? With JustReachOut you can easily test subject lines now. Depending on your open rate, you can change and/or modify the subject line and send it to the same journalist again. With JustReachOut you will never send an email and get a bounce back. We guarantee 100% deliverability of every email pitch you send. We have a team on 70+ people dedicated to the task of verifying each and every email to ensure you never send an email pitch to the wrong email address of a journalist. Last, but not least, these brand new features which are in BETA are available to our regular customers who are on the $65/month and the $450/year plans. If you are an Appsumo customer, you still get to lookup contact info for 50 journalists per month. 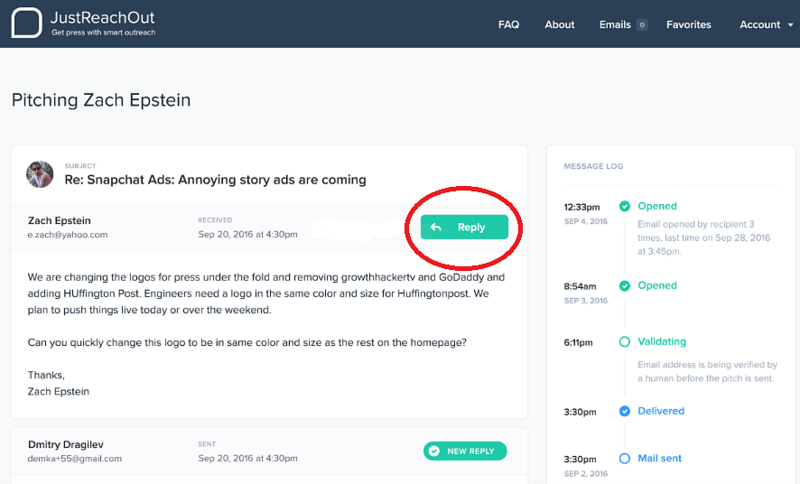 However, Appsumo accounts DO NOT have this new feature to send emails through our platform; have our team human check the addresses; or have us track deliverability and opens. 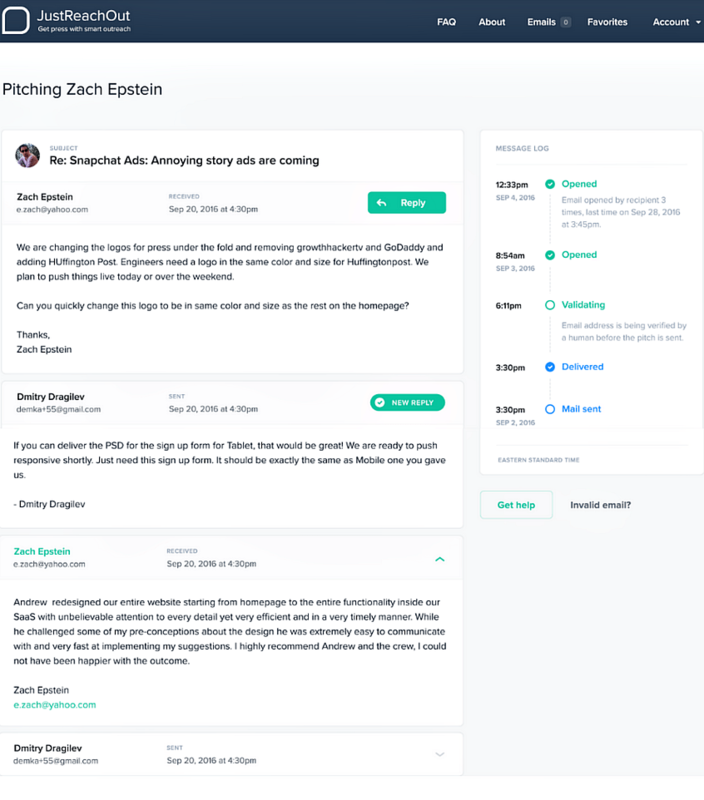 You’ll need to send the majority of your email pitches through your own email client the way our system worked before this new feature. Interesting read! How can I make sure my subject line is perfect? This is a product update but has some hidden gems like Kerry Jones’ interview. Excellent tips.